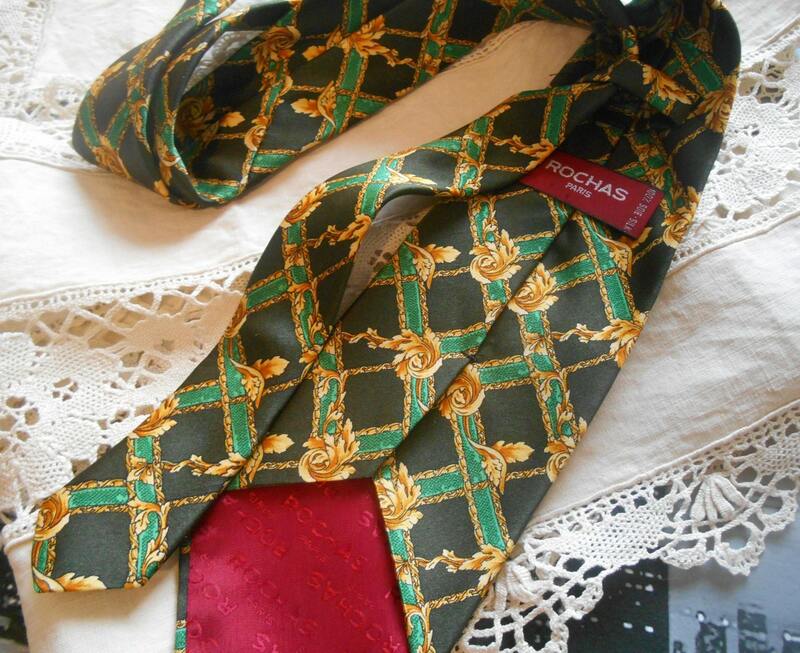 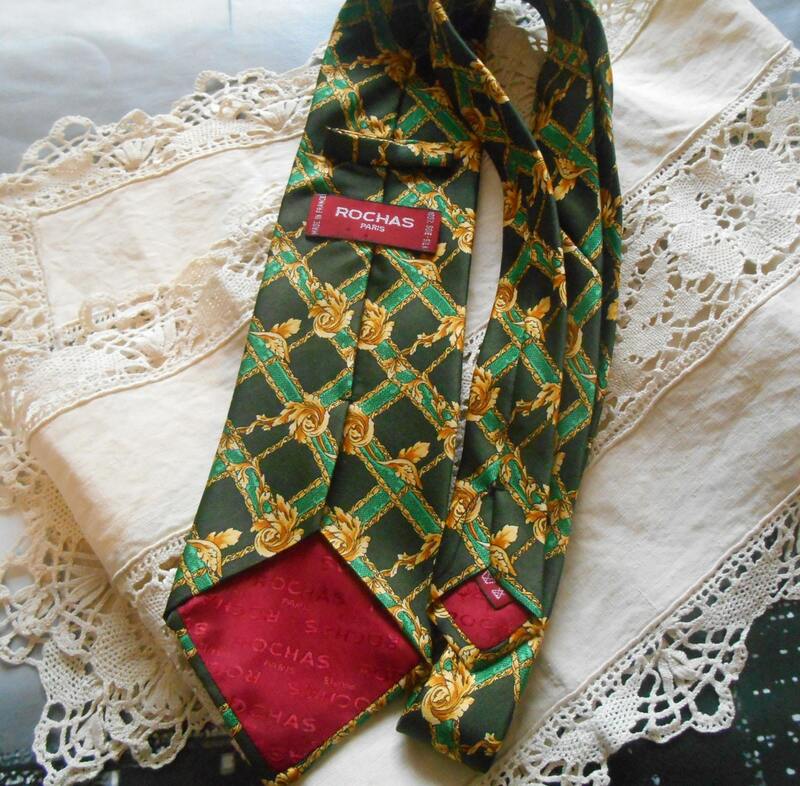 Gorgeous IVY Vintage ROCHAS Silk Necktie PARIS Hand made in France tag . 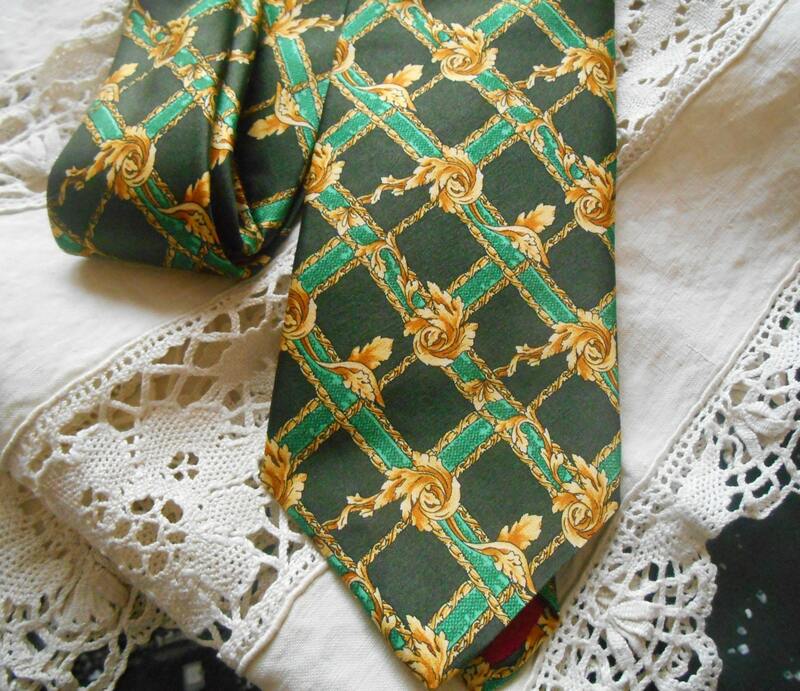 Yellow Gold Ivy Design. 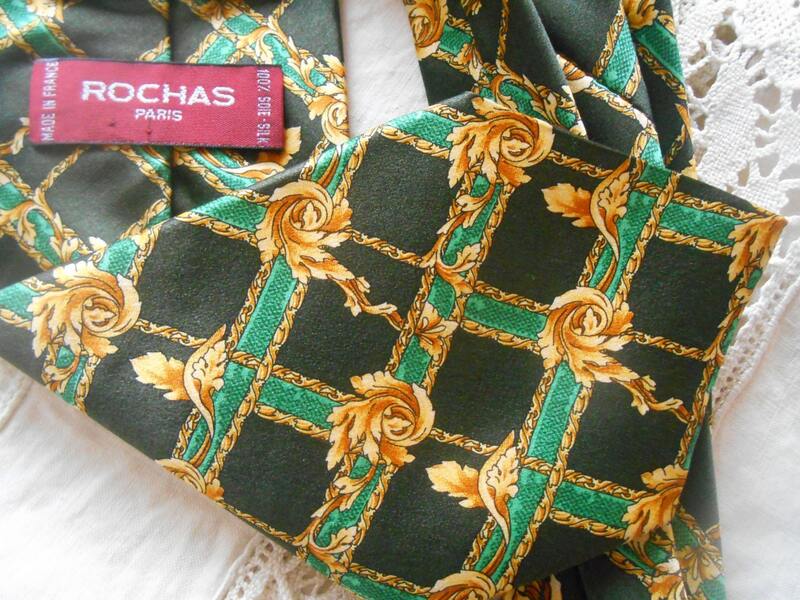 ROCHAS PARIS tag on the back side. 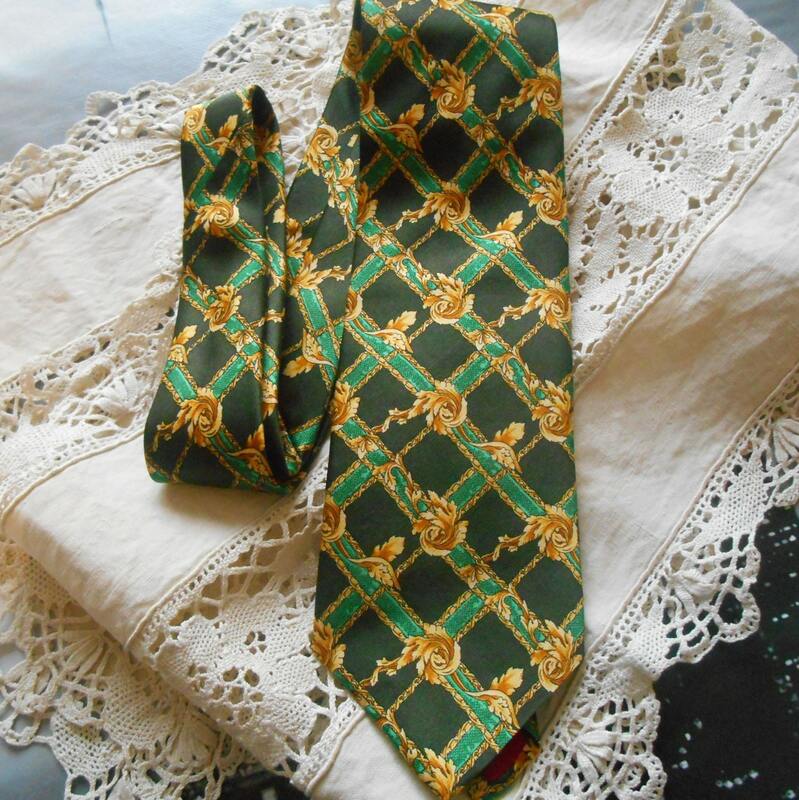 Very original IVY and beautiful fashion necktie!